With a Private Charter on San Francisco Bay. 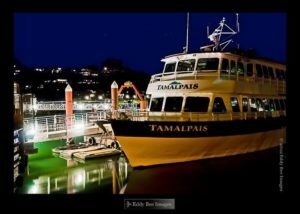 You can also give Tamalpais Charters a call at: 415.789.6082 or email us at: info@tamalpaischarters.com – and we’ll help you plan the perfect party on San Francisco Bay that will be talked about for years to come. Anniversary parties…and so much more! Whether you’re interested in a small gathering up to 50 people, or an all out blow out with a live band and dancing – Angel Island Ferry has a perfect boat for you. For more information and to book your next party on the bay, call our Private Charters Specialist – Mark Bettis, at 415.789.6082, or email Mark at info@tamalpaischarters.com. 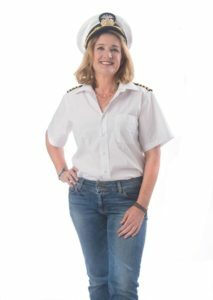 Click here to check out a sampling of Captain Maggie’s media coverage.